For my money, there is no better place than these 30,000-plus acres and their surrounding back roads to get a first-hand feel for why the marshlands of the Chesapeake Bay rank as a natural wonder of the first order. The scenery is breathtaking, the wildlife is abundant, and the landscape is chock full of fascinating bits of history. For many of the 150,000 people who visit Blackwater every year, the biggest draw is bald eagle sightings. 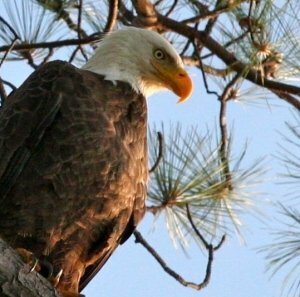 The refuge is home to the largest population of nesting bald eagles on the East Coast outside of Florida. But eagles are not the only avian attraction. Some 250 other species of birds make their home at Blackwater. The place is thick with egrets and herons, and it has a range of raptors running from the little American kestrel to the hulking turkey vulture. Songbirds, shorebirds, woodpeckers, gulls, swallows—they’re all here in abundance, too. And those are just the resident birds. 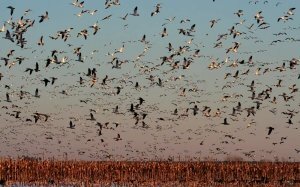 Because the refuge sits square on the Atlantic Flyway, it is a popular pit stop for many thousands of other birds migrating through in the spring and fall months. In November and December—arguably, this is the best time of year to visit—some 15,000 ducks and 35,000 geese stay here for anywhere from a few days to a few weeks, fueling up before resuming their journeys to points south. The picture at right here shows a sky full of migrating snow geese. The refuge has a timeless, unchanging feel to it, thanks to its serene waterfront vistas and vast stretches of marsh grass. But that is a lie—in fact, Blackwater is as good a place as any to think about the natural forces that have been shaping and reshaping landscapes up and down the Eastern Shore for centuries now. As recently as the 1800s, the vast marshland you see today was a giant stretch of productive farmland. Cross the causeway over the Little Blackwater River on Key Wallace Drive and you’ll find the remains of an old tomato-canning operation. For many centuries now, the waters here have been slowly rising, with the land slowly sinking at the same time. 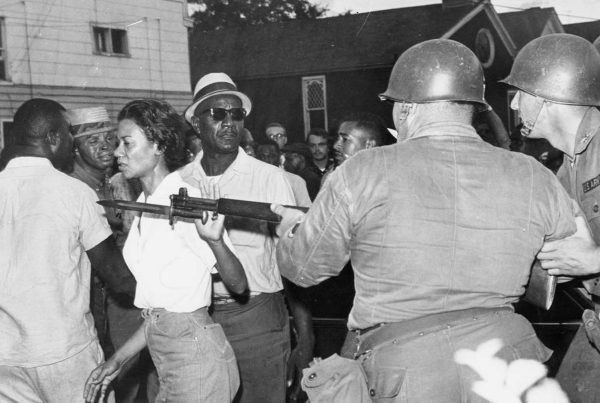 There is one more historical tidbit worth knowing before you visit Blackwater. In the early years of the 20th century, some entrepreneurial types tried to launch a fur-farming industry hereabouts. Their plan involved a hideous-looking oversized South American rodent with bright orange teeth called the nutria. When fur prices collapsed in the 1940s and fur farms went out of business, the nutria those entrepreneurs imported ran wild. They have been wreaking havoc on the marsh environment ever since, ripping grasses out of the soil as they eat—something the native mammals never do. After many years of effort, wildlife managers seem to be getting closer and closer to eradicating the nutria population around Blackwater. Keep your fingers crossed that they are able to finish the job soon. 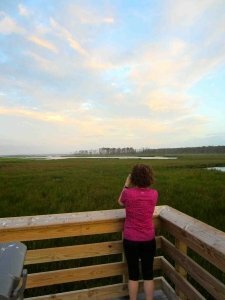 The central public experience at Blackwater is the 4-mile long Wildlife Drive, which winds through a mix of forests, impoundments, and marshlands as it winds its way along the banks of the Little Blackwater River. Both the refuge and the river take their name from thee deep, dark color of the water—something caused by the tannin-heavy richness of marshland soils. Along Wildlife Drive are two short hiking trails, a dramatic overlook, and a bird blind at a small pond. The road is a one-way affair that is just one lane wide, but there are plenty of pullovers along the way. Bicycles are a fine option for the loop as well. Bring your camera, a pair of binoculars, and maybe a bird guide. In the warmer months, be sure to pack some bug spray as well. Bring plenty of snacks or a picnic lunch, too, as there are no restaurants to be found nearby, and the vending machine selection at the visitors’ center is pretty thin. Don’t worry too much if bird activity is sparse on your first run through Wildlife Drive. I’ve learned over the years that things can go from famine to feast on the birdwatching front quite quickly at Blackwater. Take a little break and then loop back around and try again. Keep your eyes peeled for other wildlife, too, especially in the early morning and early evening hours. The Delmarva Fox Squirrel, which was just recently recommended for removal from the endangered species list, looks like a regular old squirrel, but with a much bushier tail. Other mammals along Wildlife Drive include sika deer, red foxes, and muskrats. There are lots of frogs, snakes, and turtles as well. The longer hiking trails at Blackwater are located away from Wildlife Drive. 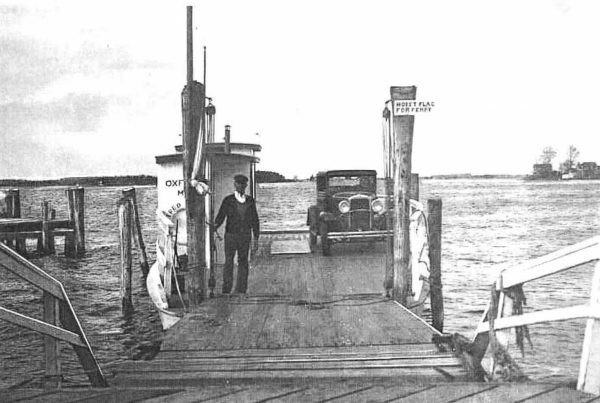 The 3-mile-long Key Wallace Trail begins at the corner of Egypt Road and Key Wallace Drive. The 1.7-mile-long Tubman Road Trail is a few miles south of the refuge, off of Hip Roof Road. As of this writing, the latter trail offers a pretty good view of a distant bald eagle nest from the overlook in the parking area—from a straight ahead view, slowly scan towards the right along the tree line until you find the nest. Last but not least: Be warned that bugs can be miserable on both of these trails in the warmer months—even more so than on Wildlife Drive. Blackwater offers occasional bird walks, led by experts. 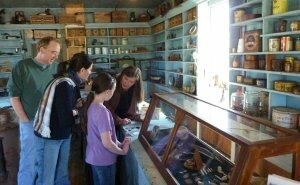 During special events like the spring Eagle Festival, the refuge runs guided tours that go deeper into the refuge than visitors are generally allowed to explore. Check the refuge website or the Friends of Blackwater website to see what’s coming up—both are listed with the resources at the end here. This stretch of South Dorchester is great for kayaking and bicycling. If you don’t have your own along and you want to rent, call my friends Jay and Susan Meredith at Blackwater Paddle and Pedal, and they will set you up (again, that website is below). My vote for the best kayak trip at the refuge, especially for a newcomer, is Button Creek. It has lots of interesting little islands and guts to explore. No visit to Blackwater is complete without wandering for a bit along the gorgeous back roads nearby. If you cross that aforementioned causeway over the Little Blackwater, you will soon find your way to Maple Dam Road, which according to local legend follows an ancient north-south Indian path. Take it south (right) and you’ll end up winding through a few miles of the best marshland scenery on the whole Eastern Shore. Take it north (left) and then keep right onto Greenbrier Road, and you’ll soon come to pretty little Scotts Chapel. The building dates to 1891, but the roots of the congregation go back to the 1700s. The cemetery here is a fascinating thing—actually, I should say cemeteries, not cemetery. In slavery times, whites, free blacks, and slaves attended services together in the old Scotts Chapel. 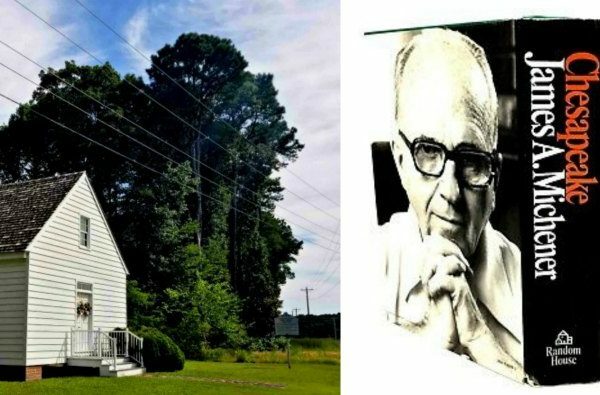 Segregation came in death for this congregation—whites are buried in the graveyard alongside the church, while blacks are buried in the yard across the street. A little ways farther on Greenbrier Road is a pull-off with interpretive markers about Harriet Tubman. Some oral history traditions say she was born hereabouts, but historians have also turned up evidence that her birthplace might have been a few miles away, near the town of Madison Bay. Just beyond the pull-off is an intersection with Bucktown Road. Stay to the left and you will soon see the old Bucktown Village Store on the right. This building was where the young, enslaved Harriet Tubman committed her first known act of defiance, refusing to help a slave owner capture a young boy fleeing his discipline. Furious, the slave owner picked up a metal weight and threw it at Tubman, hitting her in the head and nearly killing her. This incident is believed to be the cause of the occasional seizures, strange visions, and narcoleptic episodes that Tubman experienced throughout her life. 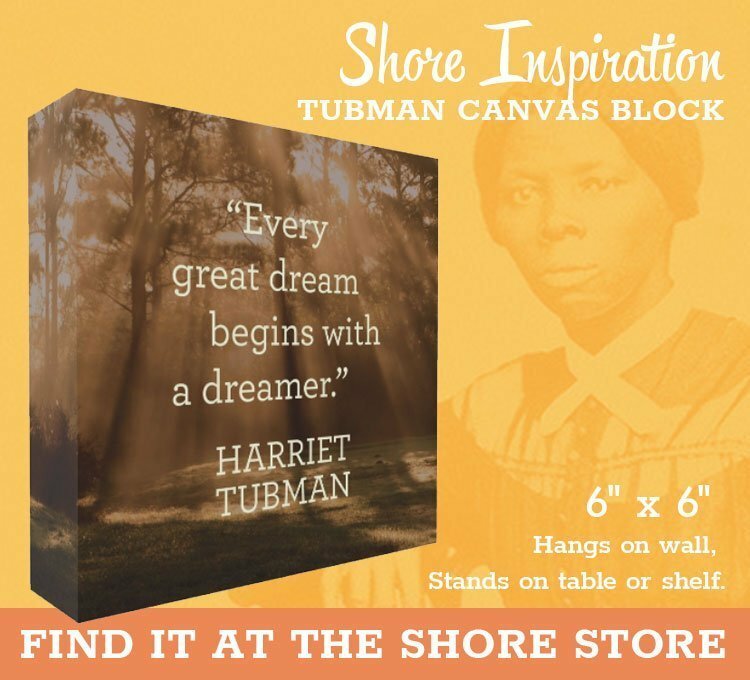 Tubman herself regarded the visions as a gift from God, carrying messages from above about the best escape plans to make and routes to take. That’s how it works along the roads out near the refuge. These roads may be sparsely traveled nowadays, but they are full of interesting stories from days gone by and graced with unforgettable scenes of natural beauty. Enjoy! 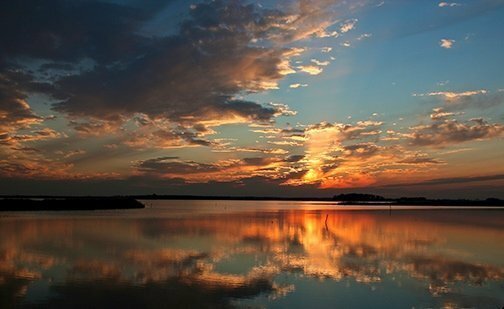 • Here is the website for Blackwater National Wildlife Refuge, and here is the site for the volunteer Friends of Blackwater group. 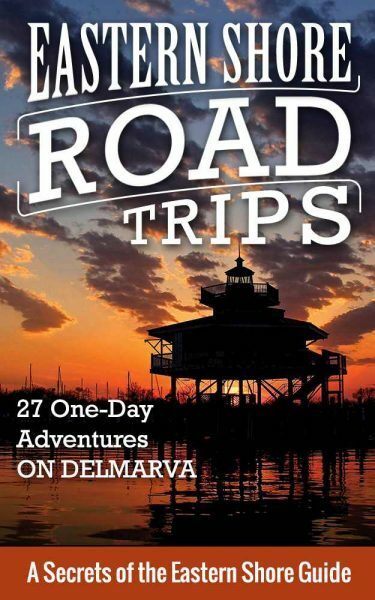 • To learn more about what’s in the area here, try the website for Dorchester County Tourism. • If you want to rent bicycles or kayaks, the place to go is Blackwater Paddle and Pedal. 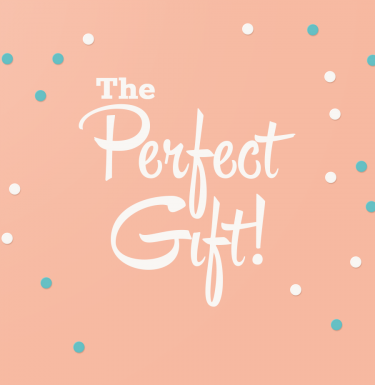 • Here is a little bit of information about the Bucktown General Store, including a phone number where you might be able to arrange a little guided visit. • BONUS: Here is a ghost story about “Big Lizz,” the spirit who supposedly haunts the marshlands near Blackwater. 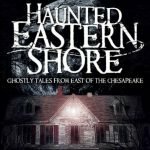 It’s written by Mindie Burgoyne, author of Haunted Eastern Shore. 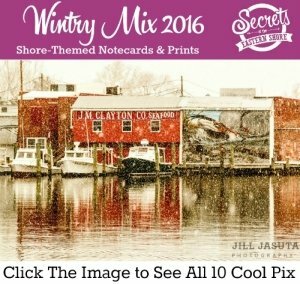 • The photo up top of a Blackwater sunset is by Jill Jasuta, as are the shots of swirling snow geese, and the Bucktown General Store. 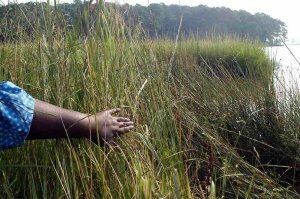 The shot of an Underground Railroad hand in the marsh grass is from Dorchester County Tourism. 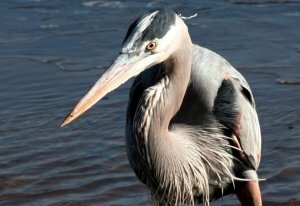 The photos of the bald eagle, the great blue heron, and the woman with binoculars at the Blackwater overlook are by Jim Duffy. 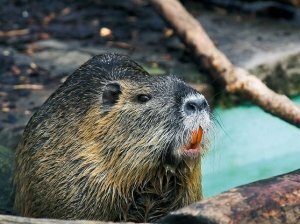 The shot of the nutria and its orange teeth was posted to Wikimedia Commons by a user named Timo Sack. We have lived in the Blackwater neighborhood all our life and my hubbie was employed there 40 yrs. 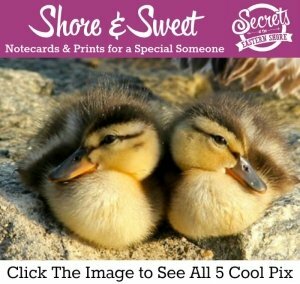 You hit some of our favorite sites in this write up.